While the closure of Russian diplomatic facilities in the US will likely ramp up tensions with Moscow, the decision might be prompted by the outstanding issues within the US and its administration, says Afshin Rattansi, host of RT UK’s Going Underground. 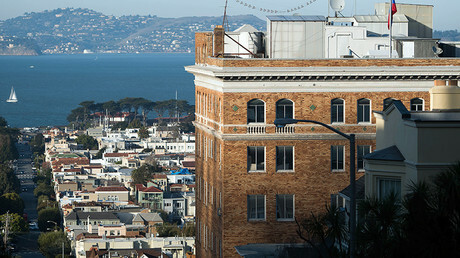 On Thursday, the US State Department demanded closure of the Russian consulate in San Francisco, as well as two annex buildings in Washington and New York. The decision was motivated by the “spirit of parity invoked by the Russians” and came in response to Moscow ordering the US to reduce its diplomatic personnel in Russia, according to the US State Department. While the decision will likely to ramp up tensions between the two countries, the reasons behind it might have deeper roots, Rattansi believes. “One can say pretty firmly that the change of the chief of staff and other personnel in the Trump White House means that, as some would have it, the Deep State has won and this so-called ‘isolationist Donald Trump candidate’ is over. He’s ramping up military war games on the Korean peninsula, he’s ramping up troops to Afghanistan and he’s ramping up troops to Russia’s actual borders in the European Union countries,” Rattansi said, adding that this is all quite in line with the recent Trump policy of heating up tensions worldwide and searching for enemies. The aggressive US policy is being watched closely by the international community and the developing countries, Rattansi said, stressing that previously purely diplomatic questions are now becoming international flashpoints. 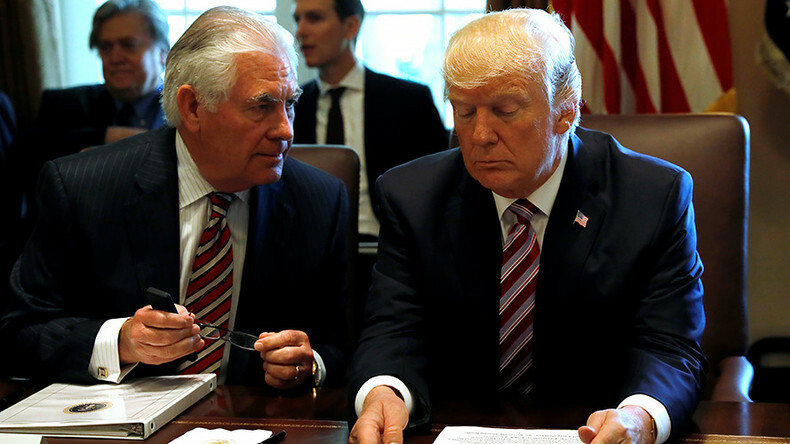 “The United States is ramping it up when it comes to the foreign diplomatic pressure, foreign military pressure. We must remember the number of times the Trump White House said ‘all options are on the table’ over a variety of different problems that previously have been seen as diplomatic,” Rattansi said. Such behavior might be a desperate attempt to fix the internal problems in the US and help Trump to beat the “Russia collusion” narrative, which has been plaguing his presidency. 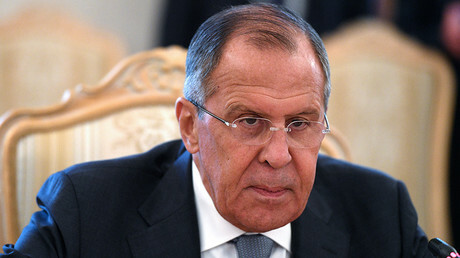 “A cynic might say that while this may be not very good news for Russian citizens in the United States and business partnerships and so on between the United states and Russia, this could be a means seen by some in the Trump administration of trying to curb … continuous attacks on US media that Donald Trump is compromised by the Putin government in Moscow,” Rattansi said. “By doing this he can say ‘Look, I’m no pawn of Moscow, here I am, making unprecedented closures of diplomatic facilities and actually creating more tensions with Moscow than President Obama did or did his Secretary of State Hillary Clinton.’ And therefore by showing this might, he’s somehow independent and therefore ‘Please don’t impeach me’,” Rattansi said.